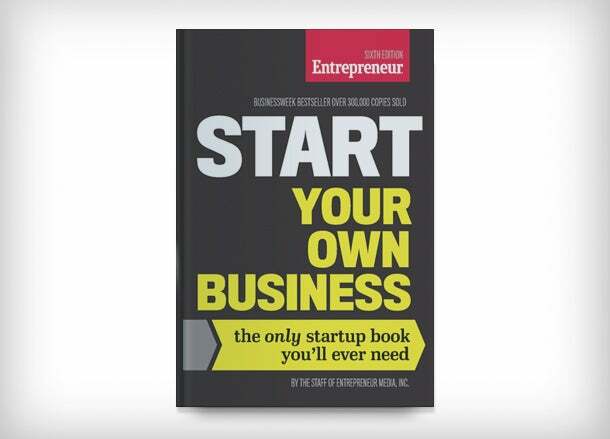 In their book, Start Your Own Business, the staff of Entrepreneur Media, Inc. guides you through the critical steps to starting a business, then supports you in surviving the first three years as a business owner. In this edited excerpt, the authors explain what you need to know about business opportunities before you purchase one. A business opportunity is a packaged business investment that allows the buyer to begin a business. A business opportunity seller typically exercises no control over the buyer’s business operations. In fact, in most business opportunity programs, there's no continuing relationship between the seller and the buyer after the sale is made. Although business opportunities don't offer much in the way of support, this could be an advantage for you if you thrive on freedom. With most business opportunities, you simply buy a set of equipment or materials, then you can operate the business any way and under any name you want. There are no ongoing royalties in most cases, and no trademark rights are sold. However, this same lack of long-term commitment is also a business opportunity’s chief disadvantage. Because there's no continuing relationship, the world of business opportunities has its share of con artists who promise buyers instant success, then take their money and run. While increased regulation of business opportunities has dramatically lessened the likelihood of rip-offs, it is still important to investigate an opportunity thoroughly before you invest any money. Dealers/distributors are individuals or businesses that purchase the right to sell ABC Corp.’s products but not the right to use ABC’s trade name. For example, an authorized dealer of Minolta products might have a Minolta sign in his window, but he can’t call his business Minolta. Often, the words “dealers” and “distributors” are used interchangeably, but there's a difference: A distributor may sell to several dealers, while a dealer usually sells direct to retailers or consumers. Licensees have the right to use the seller’s trade name and certain methods, equipment, technology or product lines. If Business Opportunity XYZ has a special technique for reglazing porcelain, for instance, it will teach you the method and sell you the supplies and machinery needed to open your own business. You can call your business XYZ, but you're an independent licensee. Direct selling features a low upfront investment and the opportunity to sell a product line directly to friends, family and other personal contacts. Most direct-selling programs also ask participants to recruit other sales representatives that constitute a rep’s “downline,” and their sales generate income for those above them in the program. The investor enters into an oral or written agreement for the vendor—or someone recommended by the vendor—to sell goods or services to the investor that allow them to begin a business. The purchase involves a certain amount of money. In 15 states and under FTC regulations, the minimum investment is $500; in the other 11 states, that figure drops to as little as $100. 5. The seller will provide a marketing plan or a sales plan for the buyer. Researching a business opportunity is a challenging task. And if the business opportunity you are considering does not provide buyers with a disclosure document, you get a lot less information, so you have to do a lot more legwork on your own. To get started, contact the Better Business Bureau to see if there have been complaints against the company; if the company is registered with D&B, a financial report will give you details on its financial standing and other information. Also check with the regulatory agency—either the Commission of Securities or the Commission of Financial Institutions—in the state where the business opportunity has its headquarters. This will tell you if the company is complying with all state regulations. If you discover the company or its principals have been involved in lawsuits or bankruptcies, try to find out more details. Did the suits involve fraud or violations of regulatory laws? A copy of the petition or judgment, which you can get from the court that handled the case, will give you the answers to these questions. Finally, see if the business opportunity seller will provide you with a list of people who've purchased the opportunity in the past. Don’t let the seller give you a few handpicked names; ask for a full list of buyers in your state. Try to track them down, and talk to as many as you can. Were they satisfied with the opportunity? Would they recommend it to friends? The success or failure of your business opportunity depends on you, your commitment to the venture and the level of effort you put into it. Put that same effort into finding the right business opportunity program, and your chances of success increase exponentially.